Delton C-16 Steam Cylinders and 1.5 inch Diameter Drivers. 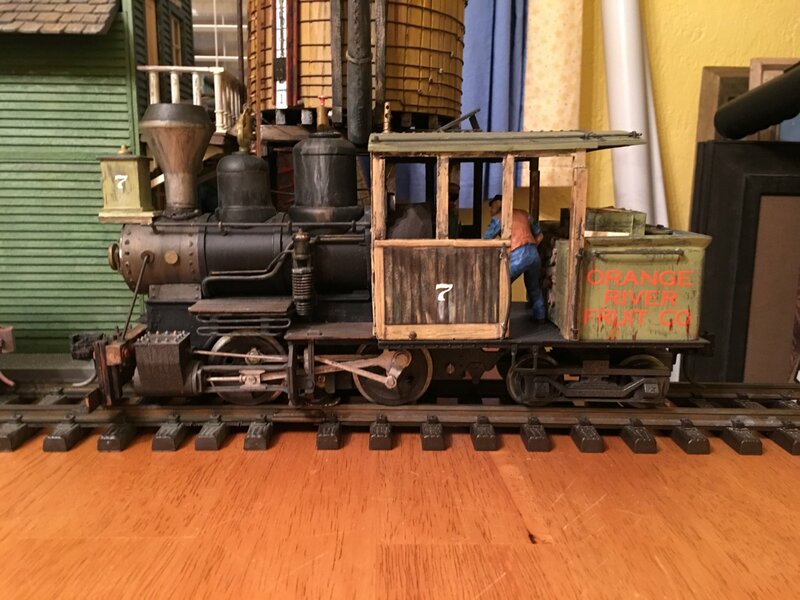 Install an O Scale O Gauge Truck with Shorter Wheelbase. Set the Steam Cylinders and Drivers at 32 mm Gauge for Operation on SM32 Track at 1:22.5 Scale. 22.5 * 32 mm = 720 mm = 28 inch Gauge Track.
" Freelance WW&F No. 10 with a Larger Diameter Smokebox as built from the Bachmann 2-4-2 COLUMBIA with the Delton C-16 Steam Cylinders and 1.5 inch Diameter Drivers. " email properly displayed with all text and all images. Love the full-size one! - Well, I assume that is full-size? Worth the wait for the ancient laptop to open the 'pdf'.. I have rewritten that Drawing Email as a New PDF File at 100% on Legal Paper Size with a more Professional Appearance within the Limitations of my simply using the Windows Image Editor. by referencing the 2 Inch Diameter Delton C-16 Smokebox with the 1.75 Inch Diameter Bachmann COLUMBIA 2-4-2 ( or Industrial 2-6-0 ) Smokebox. Personally, at 1:22.5 Scale or at 1:24 Scale the Smokebox at 1.75 Inch Diameter for an 0-4-2T Model or for an 0-4-4T Model is " Just Right ". 2 Inch appears too large and 1.5 Inch appears too small. The Prototype WW&F No. 10 has the perfect Boiler Jacket " Just Right " Diameter but the Smokebox would be more attractive at the Boiler Jacket larger Diameter. The Prototype Ward Kimball CHLOE Boiler Jacket and Smokebox would be more attractive at a larger Diameter. But of course those are the Prototype locomotives which I can then Freelance Model to the larger Smokebox Diameter of my choosing.